Hearts manager Craig Levein has been handed a misconduct charge by the Scottish FA in relation to an Under-18s Edinburgh derby. Levein faces a hearing on 17 April for an incident in Hearts' 3-2 win over Hibernian at Oriam in the Club Academy Scotland Elite League this month. The charge relates to Levein's role as Hearts director of football. 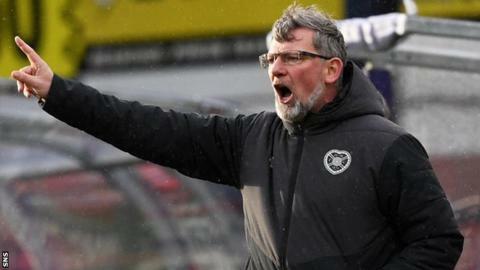 Levein was given a two-match touchline ban in January for criticising match officials after a defeat by Rangers. One game of that ban was suspended until the end of the year.